The number of K-12 virtual schools in the United States continues to grow, but to date, with few exceptions (for example, the thriving example of Stanford Online High School), virtual K-12 schools continue to receive substandard ratings on school surveys. But why is this case? Are K-12 virtual schools necessarily less rigorous than brick and mortar schools, or is the real problem that these schools attract a different demographic and/or simply don’t perform well when assessed using traditional ranking criteria? To say that online charter schools have a poor reputation is an understatement. In many states, online charters continue to receive D grades. For example, Connections Academy (owned by the textbook company, Pearson) has been operating in North Carolina since 2015. Gaining state approval was not easy. Before North Carolina contracted with Connections, other states, including Tennessee and Pennsylvania, had already publicly critiqued the company for providing a low quality educational experience. Since being approved in North Carolina two years ago, however, Connections has also received Ds from the state. In this case, the poor ranking is primarily based on standardized test scores. In other states, critiques of online K-12 schools extend beyond test scores. Another popular provider, K12, was recently forced to pay California $8.5 million to settle claims that its affiliates have made misleading claims about student performance, academic progress. While K12 rejects that it has mislead parents and students, the state insists that the company is at fault. While online charters continue to come under attack at the state level, however, the federal government continues to push for more online charters. As Betsy DeVos recently wrote in a letter to Senator Patti Murray, “High quality virtual charter schools provide valuable options to families, particularly those who live in rural areas where brick-and-mortar schools might not have the capacity to provide the range of courses or other educational experiences for students.” Like it or not, it seems that online charters will expand over the coming years, which means there is now an especially pressing need to get to the bottom of rankings issue. The bottom line is that most school rankings rely heavily on student performance. This is logical but when it comes to online schools there is a problem. Many but not all students who opt to enrol in a virtual K-12 school are there for a reason. Perhaps, they struggle academically but are living in rural area where there are simply inadequate resources to support students with Individual Educational Plans, or they have a history of being bullied and have dropped out of school as a result, or they are living in a situation where they are often on the move (e.g., in a foster home). 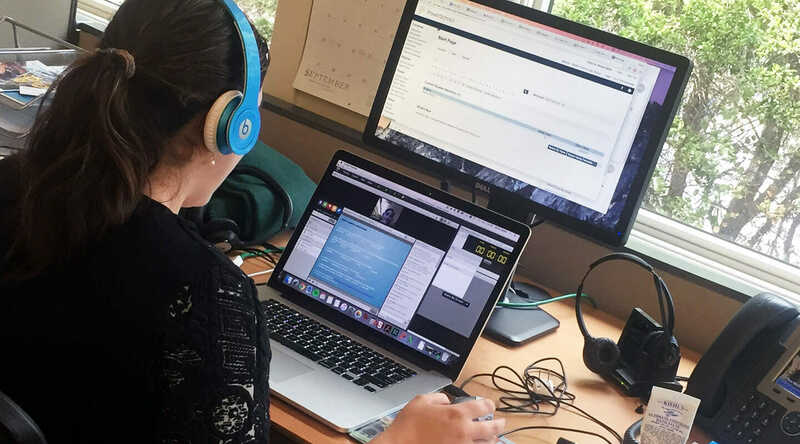 Whatever the reason, a high percentage of K-12 virtual school students are still completing their educations online out of necessity not by choice and often as a last resort. The problem is that few school ranking surveys adjust for this significant difference in demographics. This means that most online schools, with the exception of highly selective schools, are already at a disadvantage. A fairer assessment would focus on progress rather than test scores, but this would require a radically rethinking of school ranking criteria. What’s next? Moving forward, at least two things need to change. First, adjustments need to be made for the specific demographic flocking to virtual k-12 schools. Second, both state departments of education and the U.S. Department of Education need to craft and implement clearer guidelines and standards for online schools whether they are operated by a private third party of directly administered by a state or regional education authority. This, however, will take time and require an open mind about what actually constitutes a high quality education in the 21st century.